In that last few years we’ve come to see more and more that things we thought were private, simply aren’t. Whether it is companies that want to sell you things, the government wanting to find terrorist plots, or thieves looking for personal data to aid with identity theft, there are many players out there looking at your data. Is there anyway to protect ourselves from prying eyes? One way is to use strong encryption. PGP, Pretty Good Privacy, has been around since 1991. It’s a public key encryption system, which means it uses a pair of encryption keys, one that is public and can be freely given out to anyone and one that is private/secret and must be protected. In addition to the keys there is a passphrase that is known to the owner of the keys and is required to decrypt a message. PGP has been a useful tool for techno-savvy folks, but has been difficult to use for the more techno-casual person. I recently attended a CryptoParty. 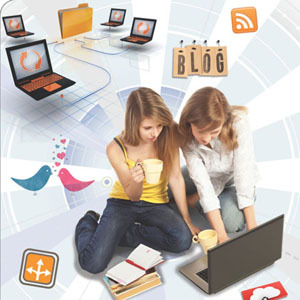 The aim of these events is to help put privacy tools in more hands. I discovered some new (and more modern) packages for working with PGP and integrating it into tools you may be familiar with, so I thought I’d share my experience of setting up PGP for use with Roundcube. Roundcube is an open source webmail client that is available for use with your SWCP account. 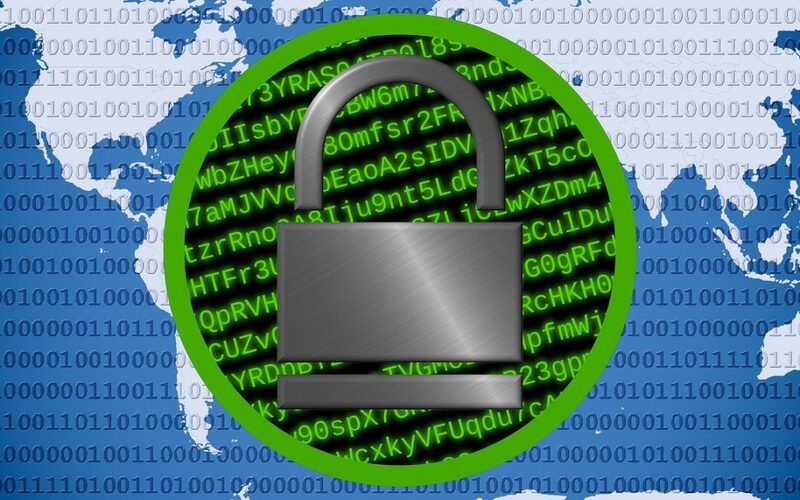 In order to use PGP you’ll need to generate your private and public keys and create a passphrase. You can export your public key and give it to anyone else you’d like to communicate with. They will also have to have a PGP setup in order to make use of your key and you’ll need their public key in order to encrypt a message to them. Your private key should remain on your local machine. You should never give it out. Even if your private key becomes compromised your passphrase and your private key are required to decrypt a message. 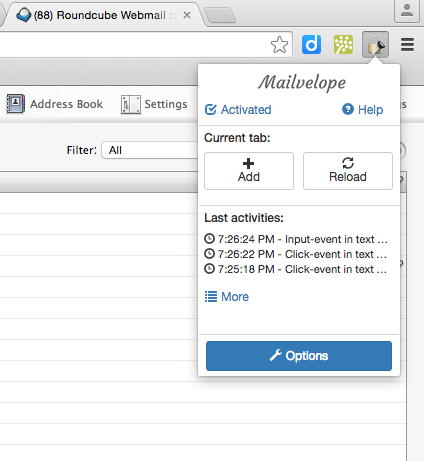 Mailvelope is a package that works with webmail clients, Gmail, Yahoo, Outlook, and others including Roundcube. It works as a browser extension for Chrome or Firefox. This will take you to the Chrome store page for Mailvelope. If you’re using Firefox this link will download the extension. Once you’ve installed the browser extension you’ll see a small icon next to the location bar that looks like a padlock and key. Click on the padlock and key symbol, then select options. Now you can choose “Generate Key”. Your keys will be associated with an email address as well as your name, so you can have multiple identities by generating multiple key pairs. Each set of keys needs a unique email address. Once you’ve done this you should see you key in the Display Keys window. To make this more interesting you’ll want someone to communicate with. Below is my public key. Select and copy the entire block, starting with the BEGIN PGP line and including with the END PGP line. Then select import keys and paste the key into the text box and press Import. If you display keys now you should see a key for Jamii Costlow. That wraps up part 1 of Private Email. In the next post we’ll look at using these keys to encrypt email with RoundCube. You’ll find part 2 here.